Wednesday 5 December is International Volunteer Day – a day to celebrate and recognise the 6,000,000 Australians who volunteer for a diverse range of causes across the country. This includes hundreds of Chevron Australia employees who have donated thousands of hours of time to support local communities in need. At Chevron, we believe our business succeeds best when the people we work with and the communities in which we operate succeed too. Our employees showcase this commitment by supporting their communities through ongoing volunteer projects. This includes the volunteers involved in making the Chevron City to Surf for Activ community fun run the State’s largest volunteer event. In 2018, the City to Surf was also Chevron Australia’s largest workforce event. 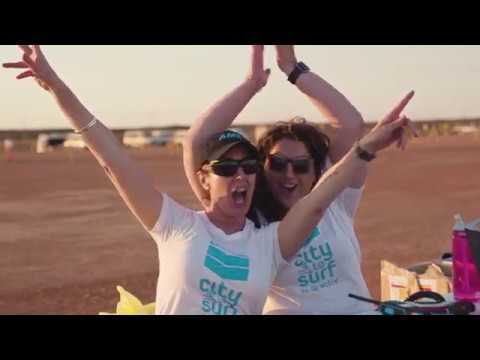 Barrow Island and the Wheatstone Platform held their own City to Surf events to coincide with the Perth-based Chevron City to Surf for Activ. Barrow Island Lead Medic Andy Symons said the Barrow Island event was a resounding success, with 61 site-based personnel participating. "Several key groups were involved in organising the event, including our site-based physiotherapists, ESS, Omega Security, Coates Hire, WA Oil, Health and Medical, and Sonic Health Plus," Andy said. "It was more than just a race, it was about working together as One Team to execute the event, which created a sense of excitement and a real Barrow community feel." Some 225 kilometres out to sea off the Pilbara coast, 45 workers on the Wheatstone Platform did their part completing the 4 kilometre event on treadmills. Congratulations and thank you to everyone who volunteered and participated across our sites.